through on-site and online training and consultation. Serving: Federal, Corporate, Small Business and Personal-Professional needs. 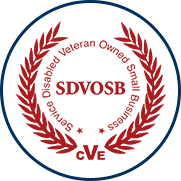 Leadership Solutions Associates, LLC is a service-disabled, veteran-owned small business certified by the U.S. Veterans Administration (CVE). We specialize in employee development and training in the Federal, Corporate and Small Business sectors. Our areas of expertise include leadership and management training, as well as enhancing performance and people skills. LSA provides targeted consultation services in areas such as performance management, organizational change and emotional intelligence. We provide professional Federal Government training that includes mandatory Department of Defense Supervisory Training, Federal Retirement System (FERS, CSRS, Special Category), Performance Management, Conflict Resolution and team-based training. For a complete list of courses, please visit our Federal Training page. At LSA our Corporate, Small Business and Personal-Professional training includes the Wiley Everything DiSC series of training/assessment options for leaders, managers, employees and sales professionals. LSA also is certified to deliver the Everything DiSC’s Five Behaviors of a Cohesive Team training and many other popular on-demand business-based courses. Tim and Amy Coffey of Gulf Breeze, FL founded Leadership Solutions Associates, LLC in 2008. The company now has over 200 Federal and private sector customers on an international scale. Tim Coffey, as President, is a U.S. Navy veteran of over 25 years service. He is a certified master training specialist; master sales trainer, negotiator and diversity practitioner. Tim possesses a B.S. in Management and M.S. in Organizational Performance. Amy Coffey as CFO/Administration also consults in such key areas such as customer service and workplace interpersonal communications. LSA also retains, and is constantly developing, a nationwide network of professional trainers and facilitators (many of which are veterans or their family members) to meet our customers needs. At LSA we envision a national network of U.S. military veterans who deliver professional and cost-effective training and consultation services to all sectors — government, private sector and nonprofit organizations — to enhance organizational performance and effectiveness. To learn more about our company and the services we provide, we encourage you to contact us via our web form or give us a call at 850-529-1759.